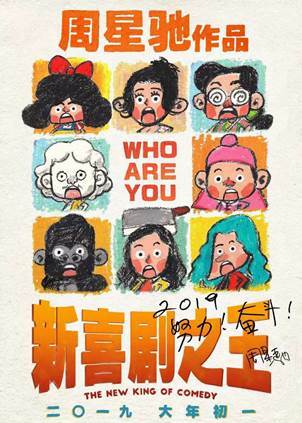 Twenty years after he turned his trials and tribulations as an aspiring actor into a movie, Stephen Chow remakes his own ‘The King of Comedy’ with a whole new Mainland cast to decidedly mixed results. Not only does he fail to convince just why a remake was necessary in the first place, this new edition is inferior in almost every respect, so much so that we dare say you’re better off seeking out its predecessor on Youtube (than watching this obvious clone intended strictly for the lucrative Mainland audience). In place of himself, Chow has here cast relative newbie Vin E in the leading role of a passionate but unlucky actress named Dreamy toiling it out in the moviemaking industry while hoping to catch her big break. Like that which Chow played in the 1998 original, Dreamy endures countless rounds of humiliation from almost everyone on the set, including the director/ assistant director(s) who wonders why she insists on asking so many details about the throwaway roles she plays, the lead actor/ actress who laments she is wasting their time with her unnecessary questions, and even the on-the-set meal person who thinks she is there just for a free lunchbox. If that last bit sounds familiar, that’s because it was a recurring joke in the original, which starred then-Chow regular Ng Man-tat as a misanthropic who was seen consistently denying Chow’s character his lunchbox. 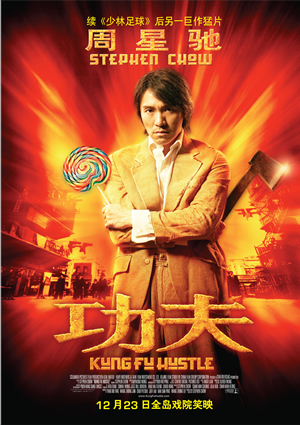 Even if we’re willing to give Chow the benefit of the doubt that he’s included the same plot element for nostalgic reasons, we’re quite sure that we cannot say the same of the rest of the movie, which finds him again milking ‘mo lei tau’ humour out of the scenes where our earnest but oblivious aspirant is cast as a thankless extra. 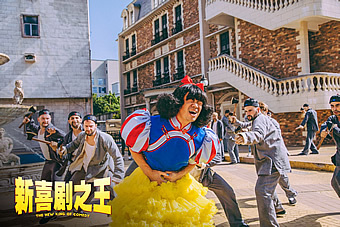 Instead of a John Woo-like action movie where Karen Mok is the lead, the production here is a family-friendly Lunar New Year comedy entitled ‘Snow White: Bloodbath in Chinatown’ starring Wang Baoqiang’s washed-up movie star Marco. In one of the scenes, Dreamy is cast as a stand-in for the evil witch for the movie after undergoing a botched plastic surgery op that causes her to have a pointy nose and chin, and is made to endure a beating by the seven dwarves; and in another, she is tricked into playing a vengeful ghost back to haunt Marco, in order that the director may capture a genuine look of fear on the latter’s face which seems painfully out of his very limited range. As surprising as it may sound, that is as amusing as the movie gets, unless you include a sequence where Dreamy insists on keeping her prop of an ax on top of her head while attending her father’s (Zhang Qi) birthday dinner. Whether intended or otherwise, the scenes on the production of the aforementioned fake movie that see the vain and irascible Marco trying but flailing to act are not funny by any measure, not least because Wang’s egoistical character is so annoying you’d just want to smack him. Oh yes, we’re not quite sure if Chow meant for Marco to be a hilarious caricature, but we find little humour in his character at all. 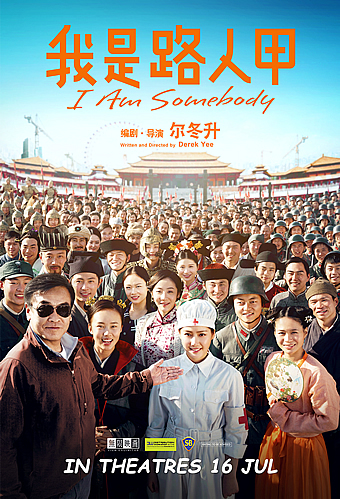 And therefore if you, like us, stepped in hoping for some good-old Stephen Chow comedy, we can guarantee you that you’d be utterly disappointed. Not only does Vin E hardly come close to capturing the same sort of charming naivety which Chow evoked in the original, there are very few scenes that are anywhere near as entertaining, even as some of them are clearly recycled from the same formula. 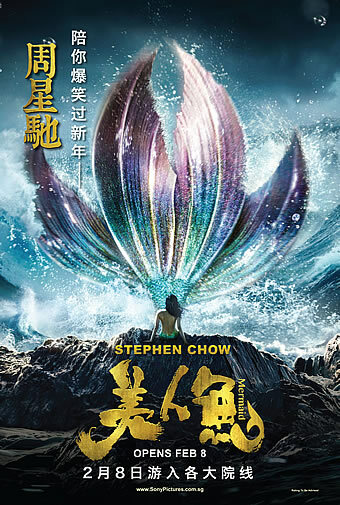 Yet it isn’t quite as simple that Chow has simply lost his comedic mojo; rather, continuing a a trend from his most recent movies such as ‘Journey to the West’ and ‘The Mermaid’, Chow seems to have simply traded laughter for emotion and/or drama. So instead of finding humour in Dreamy’s struggles, Chow chooses to play up Dreamy’s determination as she overcomes one obstacle after another in order to chase her dreams of being a movie star. Besides all that humiliation we’ve described, she’ll have to blink through her roommate Xiaomi (Jing Ruyang) getting her big break after being talent spotted on the street. She’ll have to look past her father’s virulent objections against her choice of career, although both parents secretly look out for her behind her back. And last but not least, she’ll have to endure the heartbreak of her boyfriend Charlie’s (Zhang Quandan) infidelity, with whom she had even planned to settle down with. Chow’s message to ‘work hard and persevere’ is scrawled in his handwriting on some of the versions of the movie poster, and it is this he chooses to emphasise in the movie. Yet as well-intentioned as it may be, we can’t say that we were particularly moved, not least because the farcical tone of the abuse she has to withstand somehow diminishes the realism of the circumstances that we are supposed to empathise that she is in. To be sure, Chow’s own original also tried to portray his character’s unblinking dedication to craft, but it went down a lot better with his own signature brand of humour. Without the wit, and with a much heavier hand, the drama here unfortunately falls flat, and the movie ends up being a lot less entertaining than its predecessor was. Truth be told, ‘The New King of Comedy’ is a wholly unnecessary remake. After his string of VFX-heavy blockbusters, many of Chow’s fans – like us – were hoping that this movie would see him return to his early roots finding humour and heart in ordinary people. Yet if this pointless retread is a portend of what that return might look like, we’d much rather watch reruns on TV than sit through one-and-a-half hours of half-baked humour and cringe-worthy melodrama. Surely someone who was once feted as the king of comedy can do much, much better than this?